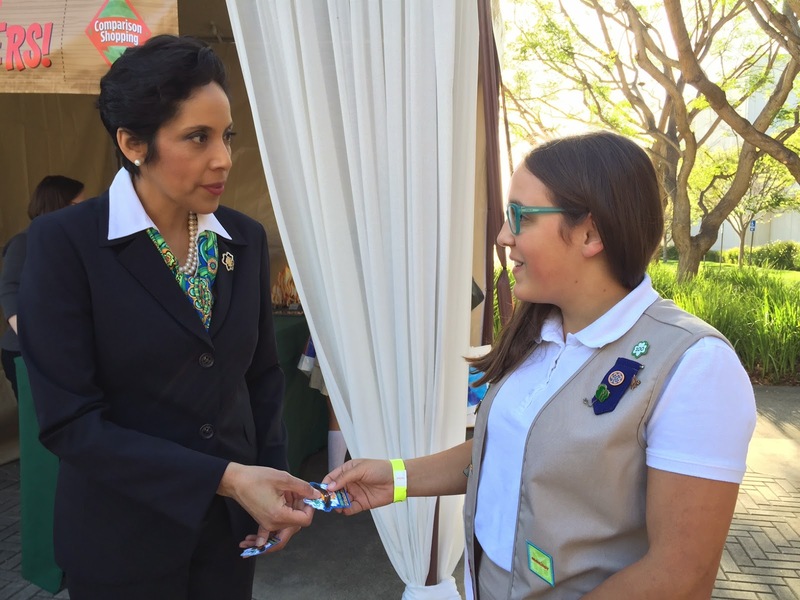 Guest post from Joan Schueller, a Girl Scout Cadette from Girl Scouts of Greater Los Angeles. Joan participated in the “Driving My Financial Future” national kick-off event at the Toyota Campus in Torrance, California, on April 16. Picture this: CEOs, financial service advisors, and financial managers all gathering to teach you personally how to budget, save, and invest. Talk about a special opportunity! Well, that’s just what I was able to experience at the “Driving My Financial Future” launch event at the Toyota Campus last week. And thanks to this new program, 26,000 more girls across the country will also be able to gain access to the tools necessary to feel confident in their financial decisions. Driving My Financial Future is a program created and sponsored by Toyota Financial Services (TFS) to teach Girl Scouts how to budget, build their credit, research, and comparison shop. 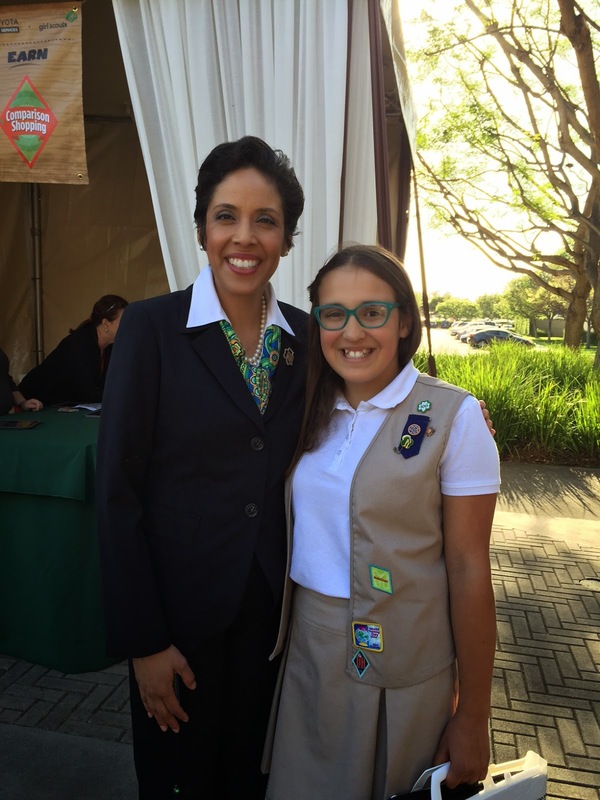 TFS recently pledged $2.1 million to Girl Scouts to help us develop our financial knowledge. Not only was our Greater Los Angeles CEO, Lise Luttgens, at the event, but our national CEO Anna Maria Chávez was also there to join in the fun. It was awesome! Before coming to this event, I had already learned about saving money and budgeting through the Girl Scout Cookie Program. In my Cadette troop, we work toward specific financial goals, right down to the pennies spent on food for trips. This has helped me budget in my personal life, from saving for new electronics to figuring out how much I can spend on Christmas presents. Driving My Financial Future takes it a few steps further. At the kick-off event, financial experts from TFS (most of them were Girl Scouts as girls—super inspiring!) helped me and 140 other Girl Scouts in my area learn how to research and comparison shop. What I discovered: simply taking the time to investigate my favorite products on the Internet could save me a lot of money! And I need to remember to check shipping costs before making my final purchasing decision. We also learned about putting together a monthly budget and the importance of anticipating emergencies. I need to know ways I can save money if in the future I miss work because of these emergencies. And I don’t want to ever forget my responsibility to give to charities I believe in—especially Girl Scouts! The skills I learned at the Driving My Financial Future event will be helpful to all Girl Scouts when we are shopping for a car or a home or putting together our college budget. 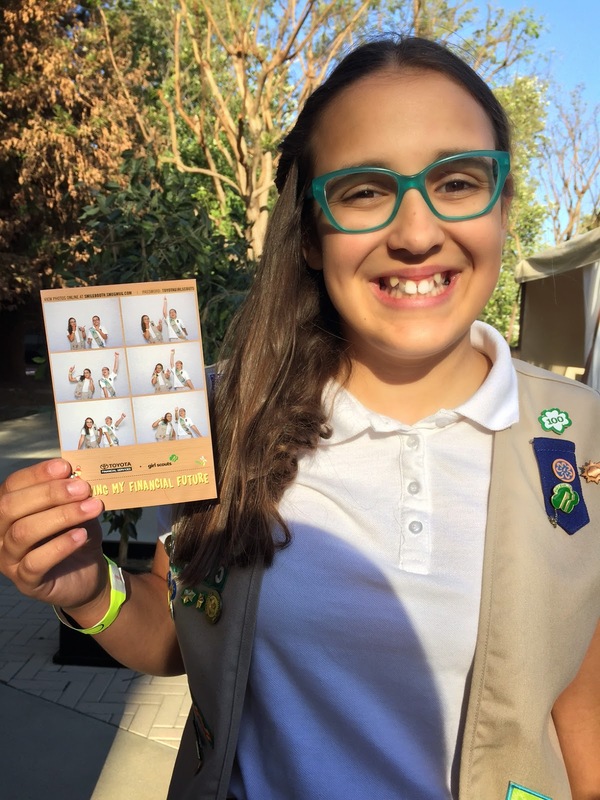 I really liked the fact that the TFS volunteers leading the badge workshops with us were Girl Scouts as girls—it confirmed to me that Girl Scouts definitely builds the leaders of tomorrow. The advice they gave us—like keep saving so you can pursue your dreams and help others—really stuck with me! Every Girl Scout should get this experience, because the skills they will learn are necessary for building a better future.